When my ears are burned out, and I'm suffering from metal fatigue, there's precious little heavy music to which I can turn for relief. 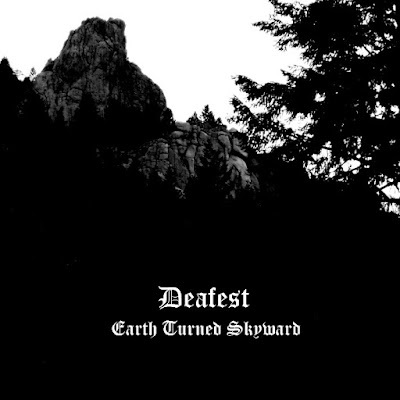 Deafest provide that kind of palliative listening experience, playing instrumental, melodic black metal that delivers healing and transformative doses of nature. 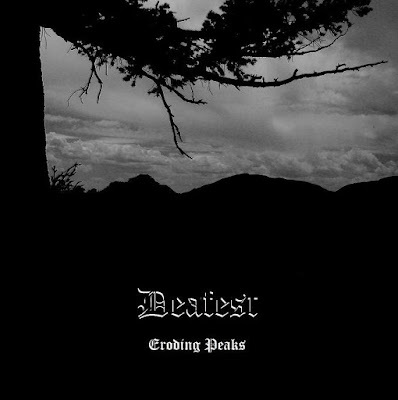 Deafest's music originates in the ragged peaks of the Rocky Mountains, flowing through creeks of post-rock bombast, streams of glass-like tranquility and raging rapids of blast-beaten blackness. Their masterful Eroding Peaks was one of my favorite albums of 2009. In October, Deafest released Earth Turned Skyward, another superlative paean to the glory of nature and the wickedness of mankind. Earth Turned Skyward is chock-full of absurdly entrancing melody, unwinding its charms without superfluous build-up or compositional waste. As with nearly all of Defeast's releases, Earth Turned Skyward is available as a free download, with a physical release coming from Ninth Meridian Records in the near future. I recently spoke to Deafest mastermind Chase Ambler, seeking to understand the origins of this naturalistic music. Your music is very closely associated with natural themes. How does your affinity for the great outdoors inspire these songs? During the summers when my family would come back to Colorado from Southeast Asia we would always go hiking in the mountains. At first I only enjoyed getting to the top and the vistas from the summits, but over the years I learned to love everything about the Colorado wilderness. When I’m up at my cabin I get feelings that I know need to be expressed through music. The hard part is translating them through my guitar. I think black metal is the perfect vessel to express my view of nature, because it’s so harsh and yet can contain great beauty, whether obviously or much more hidden. Of course Deafest’s songs are also influenced by other music, but about half of the sound is drawn from my memories and experiences in the mountains. The name “Deafest” is used in a pejorative sense, describing mankind in conflict with nature. How does this misanthropic viewpoint factor into your compositions? Definitely some of the darker atmospheres or melodies in my music stem from the sad truth that the wilderness is disappearing every day. It’s being replaced by ugly concrete, asphalt, and housing developments. It’s really easy to see the juxtaposition of natural beauty and man-made filth here in Colorado. You might be hiking and come over a ridge and there are electrical towers and power lines ruining a stunning view, not to mention the mines that rip up entire sides of mountains. It’s easy to long for a time when humans didn’t inhabit these parts, or at least didn’t destroy them. No matter how gorgeous the scenery is at a specific place, my mind always links the sorrow of human destruction to the view. This idea of no beauty without sorrow has played a large role in my black metal since the beginning of the band. I'm interested in the paths by which people become ensnared by black metal. How did you first become acquainted with this type of music? Black metal for me was a two step process. Stage one was the discover of Windir. Windir opened up the two great genres of black metal and folk metal to me. I then fell in love with Ulver and started listening to a bunch of other Norwegian black metal bands. After a while I got bored with the evil style of black metal and listened to other types of metal mostly. Stage two happened a few years later when a friend showed me Wolves in the Throne Room and my black metal passion was renewed. That band was definitely a gateway to a bunch of different styles of black metal that I had not experienced before. I found that since I was introduced to metal through melodic death I really preferred melody in music, so melodic and atmospheric black metal really consumed me. When you started to write your own music, which black metal bands helped form this vision you've developed? I think the initial, and most obvious, influences on my work would have to be Wolves in the Throne Room and Windir. 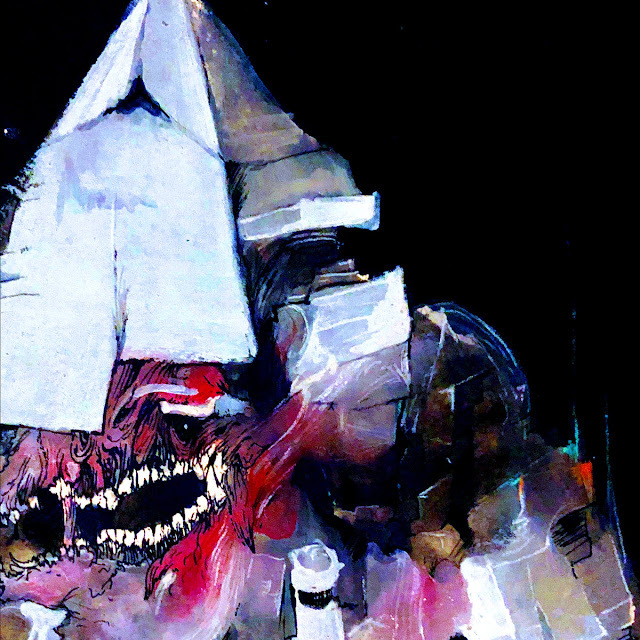 Other bands that I listen to constantly that have a great influence on my later writing are Shining, Dawn, ColdWorld, Agalloch, Krohm, Lantlos, Nyktalgia, Strid, Acheronian Dirge, Irrwisch, I Shalt Become, Angantyr, Drudkh, Celestia, and Altar of Plagues to name a few. You've got a serious post-rock vibe going on in your music, and you manage to perfectly merge it with the austerity of black metal. What bands have influenced that part of your music? A few years back Pelican opened for Opeth at a show in Denver. I of course had never heard this type of music before and was intrigued. Pelican played a show not long after with Mono, and Russian Circles and I was hooked. Mono quickly became one of my favorite bands in any genre and has an obvious influence on my writing, consciously at times and unconsciously at others. Other bands that I love are Sigur Ros, If These Trees Could Talk, Red Sparowes, and Liam. Last year you abandoned the black metal screaming that previously accompanied your music. Why did you decide to do that? It might have been due to the fact that I was listening to so many post-rock bands that are completely instrumental, but I think mostly it was because my least favorite part of my music was my vocals. Every time I recorded them I disliked them. When I decided to get rid of vocals altogether I decided it would force me to be a bit more creative in the song writing to keep the listener’s attention, and I liked that challenge. I still don’t know of many completely instrumental black metal bands so I like that about my decision as well. After I had already decided to do away with vocals I convinced myself that music without lyrics would be more ‘natural’ as well, and would become a sort of soundtrack to nature. If that is true or not I have no idea, but I liked the thought. In this past year you also abandoned your drum machine and partnered up with Brett of Severnaya. I feel like his drumming brings an entirely organic and complementary air to the music. How did that come about and why did you make the change? As I was writing my second album, Eroding Peaks, I felt it was time to take Deafest to the next level. The music deserved a real drummer supporting it. Unfortunately, my drumming skills were not progressing as I had hoped. Luckily, three of my friends are drummers, and Brett was the first to express his desire to record with me. At our first practice he already had the first song memorized from the demo I sent him, so I knew it was meant to be. After Eroding Peaks went so smoothly Brett moved from session member to actual member of the band, and he really helped sculpt some of my ideas for Earth Turned Skyward. I feel like your music would stand up very well in a live setting. Have you ever considered the possibility of live performance for Deafest, or are you siding with Fenriz on that subject? One of the main reasons why Deafest was started was because I hate playing live. My friends knew that and so they wanted to start a project with me that was for recording only. They got extremely busy with their other bands so Deafest became a solo project. Playing live has always been a terrifying experience for me in every band I’ve played in. It always takes all the fun out of the music creation process for me. Although Brett would love to play live he respects my misanthropic views. In the last few years you've put out splits with diverse bands like Livimørket, Cynd, Mirovia, and Starless Night. How did those collaborations come about? Well the spits with Dunkelheit, Severnaya, Cynd, and Mirovia all happened because the guys in the bands are my friends. The Livimørket, and Starless Night splits happened through mutual admiration of each other's music. The internet makes it so easy to enjoy great music from all over the world. There’s no way that I would have discovered these great bands from England and Florida without the web. Does that make me a poser for admiring nature and the internet at the same time? Probably. Although physical representations of your albums are currently being released through Ninth Meridian Records, you've thus far given away digital copies of almost all your work. Do you plan to continue that distribution path? A lot of bands put out their first demo or EP online for all to enjoy but then once they get a record label to put out their music they stop releasing stuff online. I didn’t want that to happen to Deafest. I knew that I would never make any actual money off of black metal, and I have a full-time job, so I wanted to keep releasing albums online. Brett and I record totally for free with our own equipment. Why would we charge others for what didn’t cost us a thing to make? The only thing that costs is the printing of the CDs, so when I was releasing Deafest through Mountain Drought Records (run by my friends and me) that was the only thing that we charged for. Luckily, Owen of 9th Meridian Records understands my philosophy and has no problem with us releasing the albums online while he prints the CDs for sale. You write reviews of local Denver metal for Examiner.com, which I enjoy quite a bit. What's the metal scene like out there? Have you been to any interesting shows lately? Colorado has a surprising and very diverse metal scene. I find out about new bands from here all the time, but for the most part Denver is not known for its metal scene like some other cities around the country. I wanted to shed a little bit of light on Colorado metal because we have some fantastic bands. Even though I grew up in Southeast Asia, my family has ancient roots in Colorado, so I have to express that pride. I haven’t had much money to go to shows recently but the last few bands that I saw were Envy, Wormrot, and Altar of Plagues. How do you envision the future of Deafest? Well I’d love to record on top of one of fourteeners here in the Rockies, but I doubt that will happen. More seriously though, I’m always looking for new sounds and moods to mold into black metal to diversify Deafest’s sound. Deafest will continue to play instrumental black metal with an emphasis on melody, but it really depends on what comes to me when I’m in the mountains, and what I’m listening to when I start writing. On Earth Turned Skyward I played with the idea of the album as a single musical piece, because each of the songs has a different rendition of a section from the first song. The songs kind of fit together in a composition, and the final song has the climax that is meant for the whole album and not just that last song. 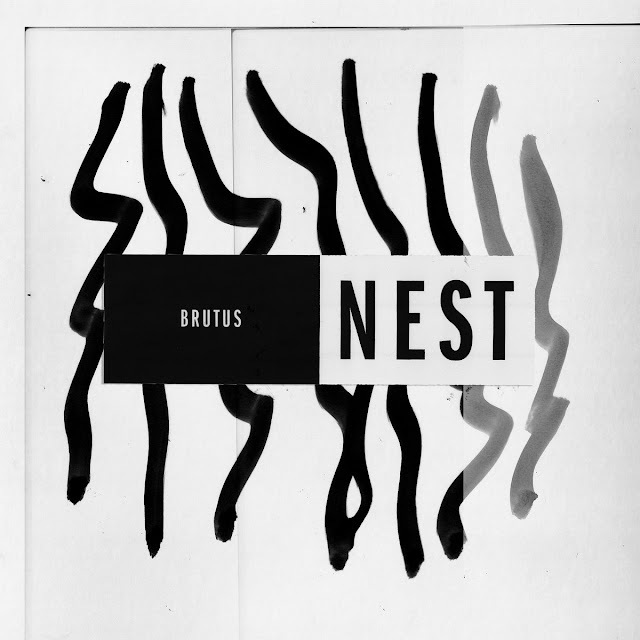 I think those ideas worked really well in this album, so I wouldn’t be surprised if similar interweaving of songs is something that I pursue in the future. Thank you so much for your great questions and thoughtful reviews. And of course, I’d like to thank everyone that makes Deafest possible, whether directly or through your undying support. Nice to have an interesting artist with the DIY philosophy who still gives it away while selling the physical CD copies. 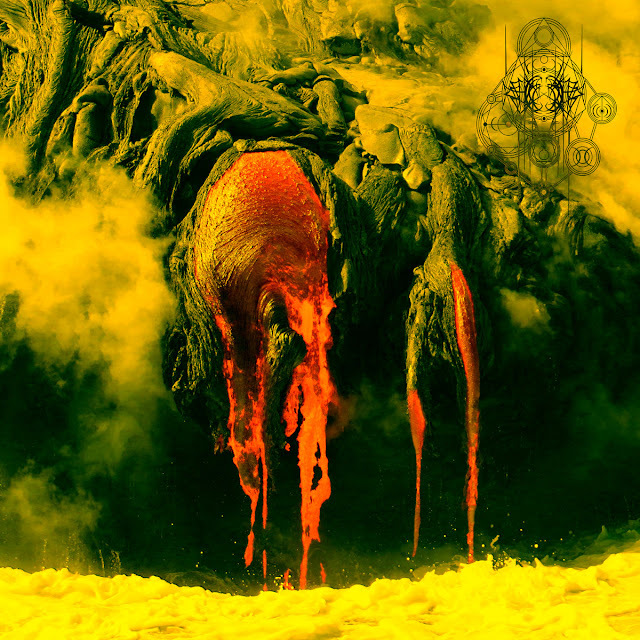 I'm appreciating this more"naturalistic" style of black metal more and more - the whole "evil" and "satanic" thing has played itself out years ago.